Former Gulf Coast University Head Coach Andy Enfield shares his secrets to the up-tempo style of basketball that enabled his team to become the first-ever 15-seed to reach the Sweet Sixteen in the NCAA Tournament and earned his team the nickname "Dunk City" University. Coach Enfield introduces three key components of the up-tempo game: practice tempo, spacing and skill development. Using on-court demonstrations, he presents drills to develop each component and looks at ways your current practice sessions can be tweaked to master these components. In addition to learning how to become an up-tempo team, you will learn half-court actions you can use to score quickly. Coach Enfield takes you through the ball screen motion offense breakdowns that he uses to teach players how to practice fast and practice spacing in the half court. With his ball screen motion offense, you will learn how to create mismatches in the post and dribble penetration in the lane. 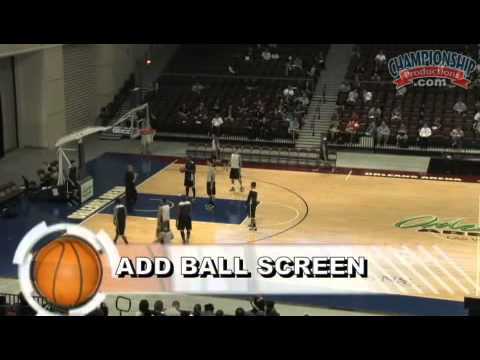 Looking for set plays that complement the ball screen motion offense and up-tempo play? Coach Enfield demonstrates two plays that will create scoring opportunities for your post players using ball screens. Finally Coach Enfield runs the entire team through a series of skill development drills that focus on attacking from the triple threat, moving without the ball and using the dribble drive to score. Each set of drills prepares players for game-day action. Enfield's experience as an NBA player development coach is on display as he provides tips for better shooting and demonstrates proper shooting mechanics. Whether you're a coach looking to speed up your offense or a coach looking to add to your offensive philosophy, Coach Enfield's up-tempo basketball is the perfect fit for you. Bring "Dunk City" to your school this season.